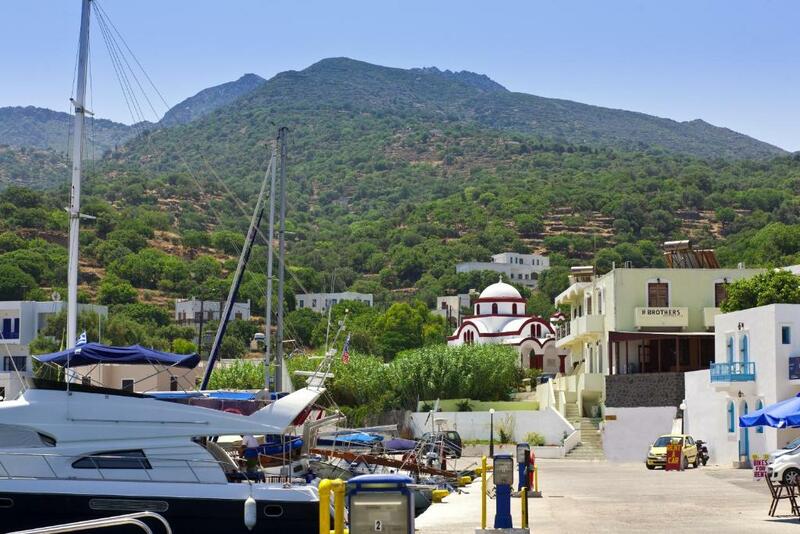 The location of the 3 Brothers was excellent, right next to the ferry terminal and car rental, and easy walking into Mandraki. Our host, Tony, was outstanding, meeting our every need. Beautiful views out to the harbor. Location, staff , value for money! Totally recommended ! Would certainly go back! Great location. The balcony to the port was perfect for cooling off and watching the harbour. The host Antonis was very helpful with everything and can tell you a lot about the islands interesting history. 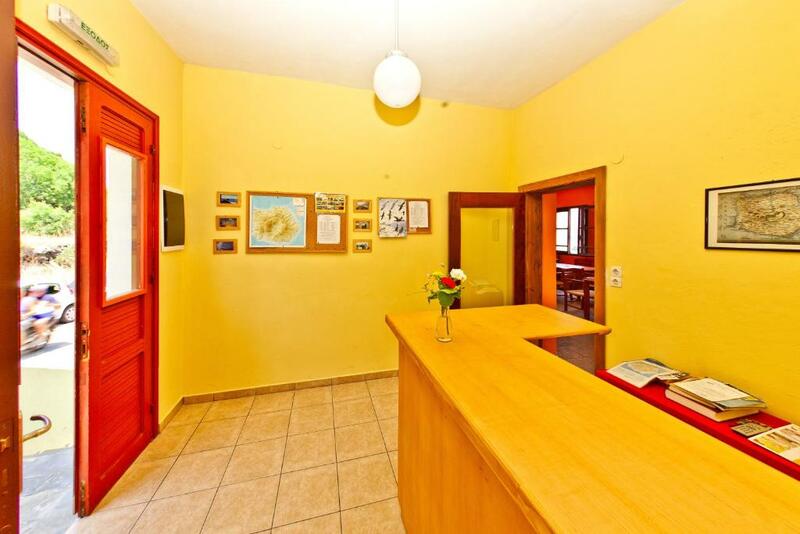 It's a very small room, functional and with very good location. Price was good. The location was very good, right on the harbor. The ferry was 2 min & the bus around the island departed from the harbour. Town was 5 min walk. The room was very clean, Tony (owner) was very personable and accommodating. Room is small , basic and cute. Good atmosphere , if I return I’ll stay there again. 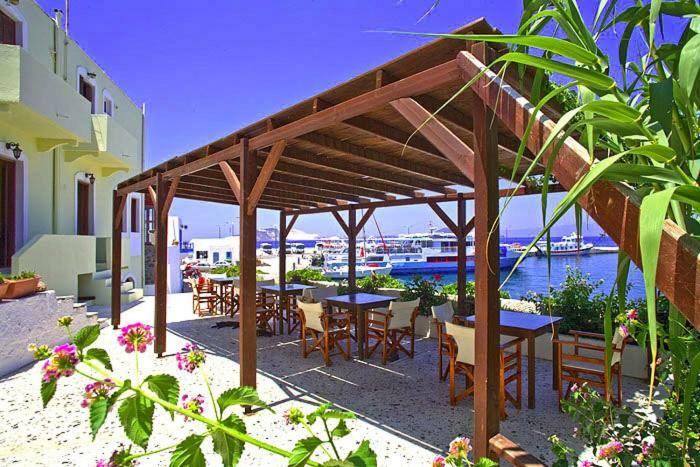 The hotel could not be better positioned for convenience as you arrive on the ferry it is right on the quayside. 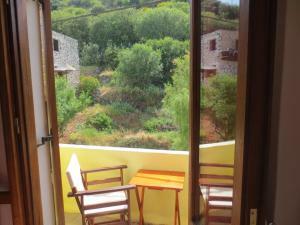 the room was comfortable and spotless with a balcony that overlooked the quay and had views out to sea, perfect. there is an occasional night ferry but it seems to pass with minimum disturbance, and apart from the odd sound of laughter from the people on the yachts it's actually very peaceful. Our host Anthoni was laid back , charming and helpful. we were completely smitten by the island and cant wait to return. Watching the boats come and go from the balcony was very nice. The sound of the reed outside the window added to the peaceful atmosphere. Very friendly host. Loved the owners - they went out of their way for us even taking us to some sites. Grandstand view of the comings and goings in the harbour. Owner Antonis very welcoming with invaluable information re. restaurants, what to see and where to to go. Painlessly organised car hire delivered to the property. Simple breakfast with excellent honey and marmalade from his own production. Ideally situated for a short stay to investigate a fascinating island. Lock in a great price for Three Brothers – rated 9.2 by recent guests! 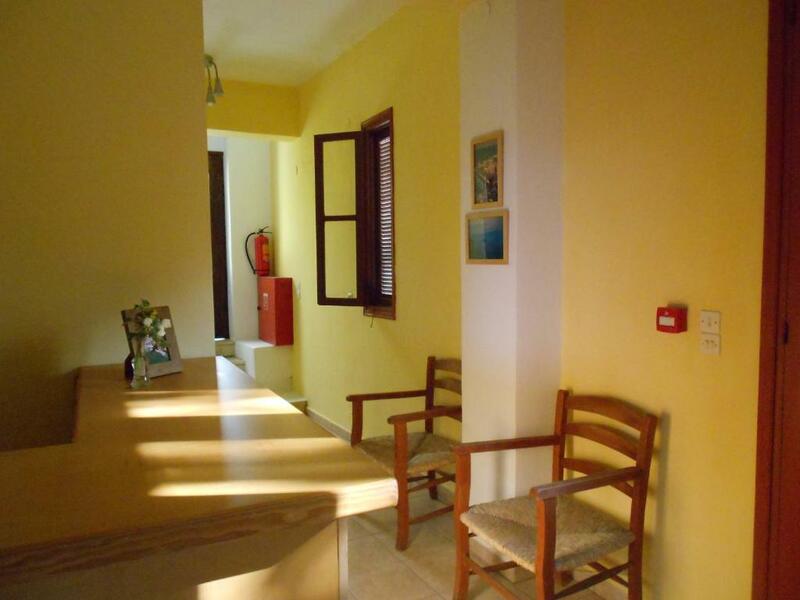 Three Brothers is located in Mandrakion and has air-conditioned accommodations with free WiFi, as well as access to a terrace. The units come with tiled floors and feature a fully equipped kitchenette with a fridge, a flat-screen TV, and a private bathroom with shower. Guests at the condo hotel can enjoy a continental breakfast. When would you like to stay at Three Brothers? This studio has a balcony, electric kettle and stovetop. House Rules Three Brothers takes special requests – add in the next step! The studio is right next to the main road so there is a lot of traffic noise. But we enjoyed our stay very much. Vast numbers of daytrippers arrive late morning, peace returns when they clear off later in the day. Ensure you inform Antonis the size of room you require. Our room suited us - beautiful view from the balcony - but anyone staying longer would need to stipulate their preference for one of the larger rooms. 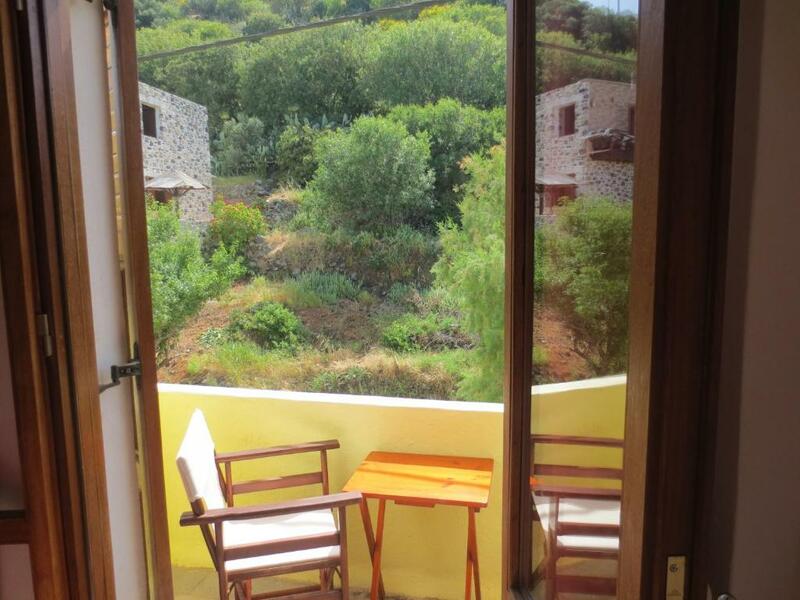 The Three Brothers provides good clean accommodation, close to the port and village. It is good value for money and ticked all the boxes we had for our stay on the Island. The host was very helpful and come up with some good suggestions. I would recommend this hotel as a very good option to use as a base to explore this very interesting little island. I liked everything in the hotel. The location is perfect, the rooms are comfortable and clean, delicious breakfast. 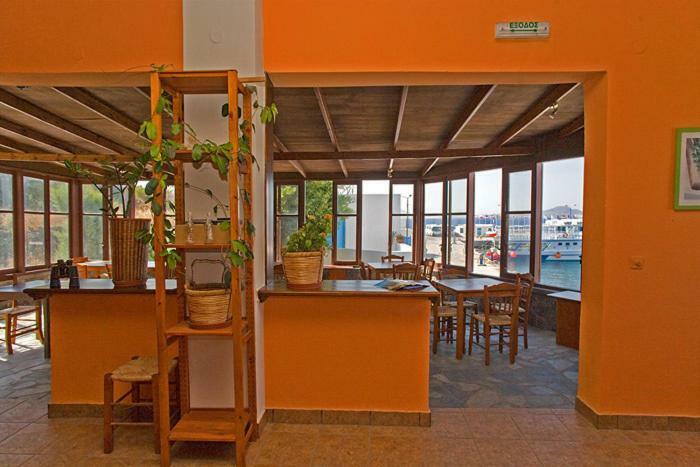 But the best in the hotel is the friendly attitude of owner Antonis to the guests. I recommend everyone to visit Nissiros island and stay at Three Brothers Hotel. Stayed at 3 Brothers for 4 nights in September and had a wonderful stay. Our room had a balcony overlooking the sea, great place to sit and watch the boats coming and going. Everything was very clean and well maintained. Breakfast served on the terrace was really nice. The owner couldn't have been more helpful giving us information about the island and help to hire a car. Very kind host who speaks Greek, English and German. A very late check in was no problem for him. 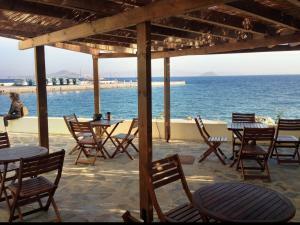 The rooms have a splendid view over the main harbour of Nisyros. Price/quality ratio is top notch. Breakfast is only 5 euro. It's not luxurious, but the bread and Greek yogurt is very good and they make their own honey. 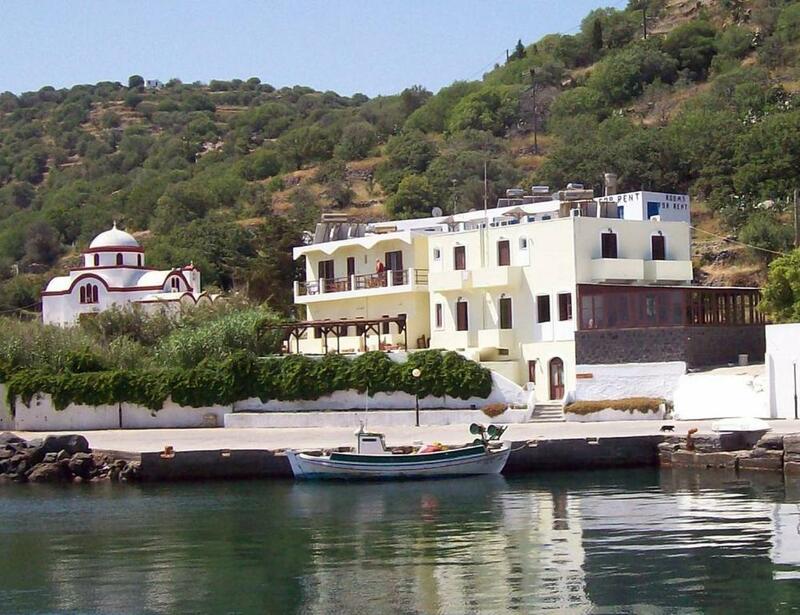 We loved vulcanic island Nisyros and we loved our stay in Three Brothers. Recommended!